.... I've uncovered one of the great mysteries of humanity. 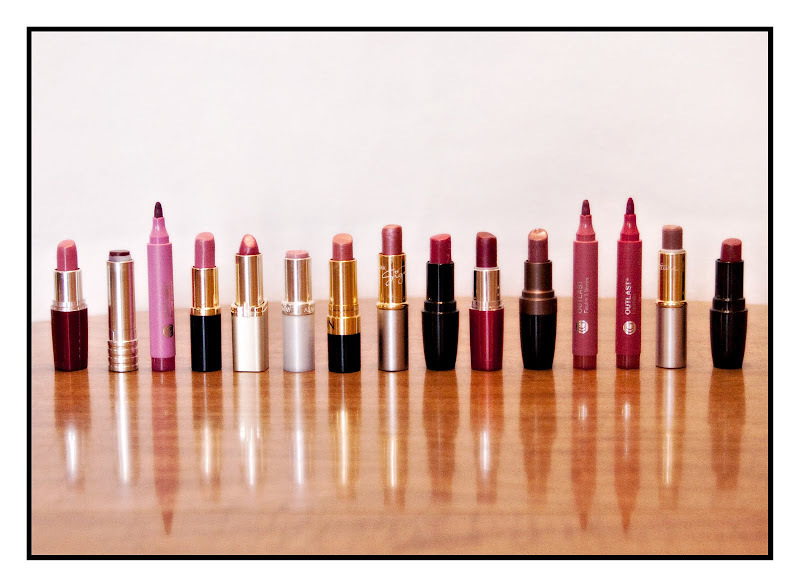 I've decided that all of life's questions would be answered if I could just find the perfect shade of lipstick. How many of you women agree with me? Lipstick shopping is just like life, you have to try so many different times before perfection is achieved, and sometimes you never quite reach that mark. In fact, most of the time you don't. But you keep trying. And shopping. And we don't throw our mistakes away, we keep them in the bottom of our purse, or in our make-up drawer; after all, just because something doesn't work now, doesn't mean it won't in the future. And we keep searching, knowing that in aisle 7, somewhere between Windsor Rose and Solar Pink, that we'll find all the answers. Me too, Janna. Was a Clinque color. Was perfect. But I guess only for my skin color because no one else bought it. Have never found a color as good. But yes....life is a lot like that! Never thought about it but I can see the similaries for sure. Always happens to me, too! But Lori, guess what? I do throw the old ones away so wonder what that means about my other mistakes? Happy Birthday Anniversary. Or is it Happy Anniversary Birthday?